A scene from the Canadian horror movie 'Black Christmas' (1974). © Warner Bros.
Canada might not be the first country you think of when you think of horror movies (or the second or the third, for that matter), but it's produced some excellent and important films that have helped both challenge and shape the face of horror cinema. Bob Clark was an early trendsetter in Canadian horror. Though best known for directing the 1983 classic family film A Christmas Story, he cut his teeth in horror (and would go on to have one of the oddest filmographies of any director, helming such disparate projects as Porky's, Rhinestone and, God help us, Baby Geniuses). Clark was an American who emigrated to Canada to take advantage of tax laws, and there he directed two noteworthy films in 1974: Deathdream and Black Christmas. Deathdream is an unconventional vampiric zombie flick that served as a commentary on the horrors of the Vietnam War, predating the similarly themed "Homecoming" episode of the television show Masters of Horror by two decades. 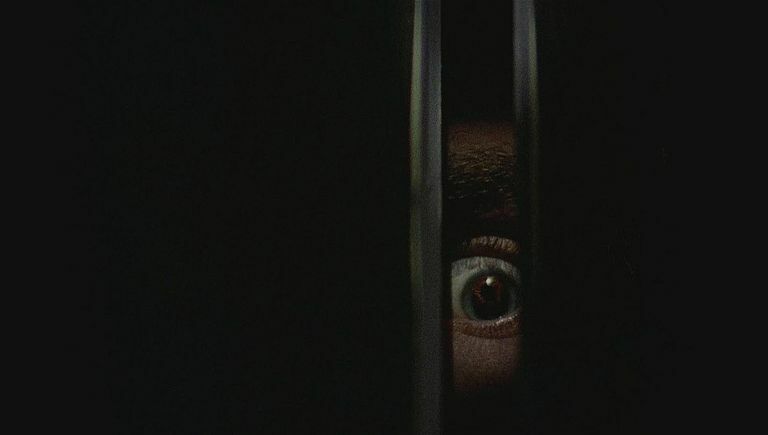 Black Christmas was even more groundbreaking as one of the earliest examples of what would become known as slasher films. 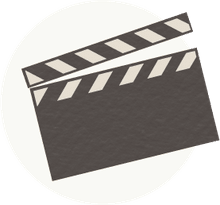 It's often credited with establishing many of the standards of the genre, including the unknown killer, the teenaged female protagonists, the point-of-view camerawork and the ambiguous ending. It even used the whole "harassing phone calls emanating from inside the house" bit that would later become the hook for When a Stranger Calls. As Bob Clark was leaving horror moviemaking in the mid-'70s, David Cronenberg was entering to take over his title as the King of Canadian Horror. A native Canadian, his was a bold style that involved surreal imagery, sexuality and themes of so-called "body horror," which derives terror from a mutation or disease within a person's body. The films Shivers, Rabid, The Brood, Scanners and Videodrome led to increasingly bigger budgets and increasing attention from Hollywood, earning Cronenberg directorial duties on major releases like Stephen King's The Dead Zone and the 1986 remake of The Fly. While Cronenberg was experimenting with cerebral horror, a decidedly lower-brow trend in filmmaking hit Canada in the early '80s: the slasher. Although the Canadian production Black Christmas laid the groundwork for slasher mania, ironically it took the success of America's Halloween to open the floodgates for such films in both Canada and the US. During the initial "Golden Age" of slashers, from 1980 to 1982, several of the most highly regarded examples of the genre came from the Great White North, including Prom Night and Terror Train (both starring Halloween's Jamie Lee Curtis), as well as My Bloody Valentine, Happy Birthday to Me and Visiting Hours. By the late '80s, slashers had become stale and less profitable, and with Cronenberg and Clark off testing other genres, Canadian horror struggled to find an identity. Its output ranged from the campy, unintentionally hilarious fare of musician Jon Mikl Thor (1986's Zombie Nightmare, 1987's Rock 'n Roll Nightmare) to the kiddie horror of The Gate and the disappointing adaptation of the Dean R. Koontz book The Watchers. It took until the end of the 20th century for Canadian horror to really regain its foothold, when the low-budget, futuristic thriller Cube, about a mysterious "prison" filled with booby traps, became a cult hit. Soon thereafter, a string of impressive horror movies began to spring from Canada, earning them a reputation for being well-written, intelligent and original. Ginger Snaps (2000), for instance, is a fresh take on the werewolf myth that relates lycanthropy to puberty. 2004's La Peau Blanch (White Skin) inserts issues of race and disease into a vampire tale, and 2007's Fido deals with 1950s-styled conformity in a world full of zombies. One of the most commercially successful productions was White Noise, a supernatural thriller that made over $50 million in the US alone. Filmmakers like Vincenzo Natali (Cube, Splice, Haunter), Bruce McDonald (Pontypool, Hellions) and Jon Knautz (Jack Brooks: Monster Slayer, Shrine, Goddess of Love) have emerged, along with a familiar name -- Cronenberg (Brandon, as in David's son, who directed 2012's Antiviral, which revisited his father's "body horror" origins). Although it took until the 21st century to hit its stride, the status of Canadian horror now seems as secure as ever. What Are the Best Worst Horror Movies? How Many of the 15 Best Slasher Movies Have You Seen? What Are the 100 Highest-Grossing Horror Movies of All Time?